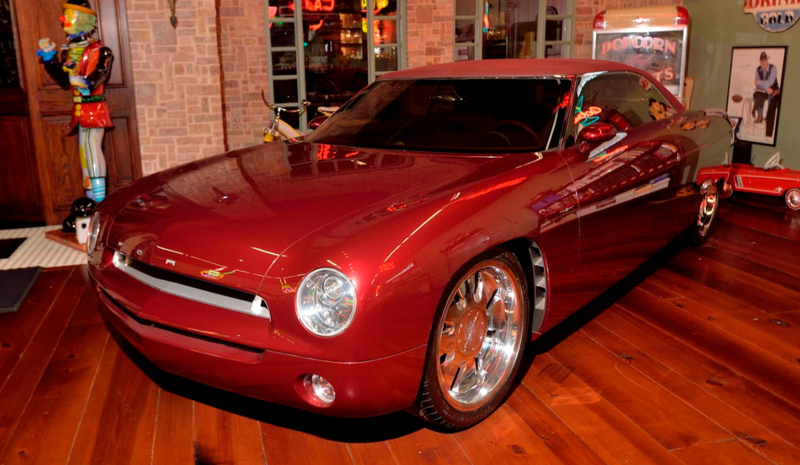 The Ford Forty-Nine was a concept car introduced at the 2001 North American International Auto Show. It was a badass, black two-door that looked like a chopped ’49 Ford. The company also rolled out this, the convertible companion car. It runs and drives, but you won’t be able to register it. Anyway, this car sold at an RM auction in 2010 for $67,100. We’ll have to wait and see what Mecum can get for it 8½ years later. Click here for more info and here for more from Mecum. 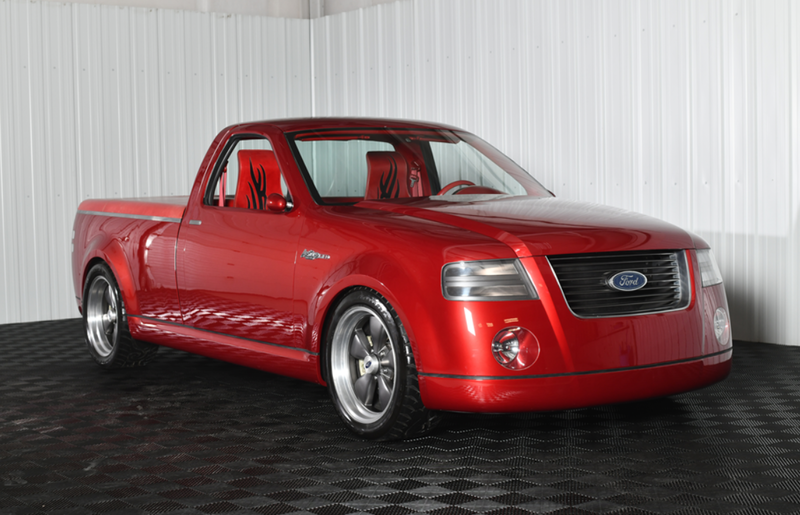 Here’s another red Ford concept car (well, truck) from 2001. It was first shown at the 2001 Chicago Auto Show and you can tell that it had no hope for production because it lacked any sort of front bumper and the interior had a wild Maori tattoo theme going on (question for Ford: why?). It does run and drive though, but you’ll never be able to register it for the road. It’s powered by a 5.4-liter V8, and I think the entire point of the exercise was to show that Ford could still do hot-rodding… if they wanted to. This truck sold at an RM auction in 2012 for $46,200. Barrett-Jackson is offering it at no reserve. Click here for more info and here for more from this sale. This entry was posted in Uncategorized and tagged 2001, auctions, barrett-jackson, cars, concept, convertible, f-150, ford, forty-nine, lightning rod, mecum, trucks by classiccarweekly. Bookmark the permalink.